We've always been addicted to books and TV shows that show off amazing factories, or incredible processes that happen mostly hidden from everyday life and in "The Everyday Journeys of Ordinary Things" Libby Deutsch and Valpuri Terttula lift the lid on some of these fascinating trips that things take before they end up in our stores or in our homes. It's really incredible to think just how much time most of our goods spend in transit, and this fabulously illustrated book shows how our modern world is more interconnected than ever, thanks to communication and technology, transport and of course our own inventiveness and ingenuity. The book looks at chocolate starting as beans growing on a tree before being processed into the silky smooth yummy stuff we can't get enough of. But it also looks at more humble processes that demand an equally complex solution in our modern world. Everything from distilling fossil fuels (we would really have loved to see more emphasis placed on renewable energies in the book but it's horribly fascinating to think that most of our world runs on sludge made of stuff that died millions of years ago) to dealing with our post and online orders. 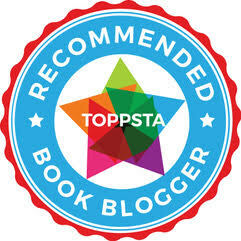 The book achieves a brilliant balance between keeping things fairly simple, yet appealing to quite a wide age group. C absolutely loved the way each spread goes through a list of stages for each of the processes, so making it easy to follow - with boxed out information to enhance the descriptions of automation and processing things go through each day, often 24/7. If you're a fan of shows like "How it's made" or "Inside the Factory" you're going to absolutely love this as much as we do. Such a brilliant idea for a non-fic book and we can imagine tons of content we'd love to see in the next volume. Absolutely awesome! Sum this book up in a sentence: A truly ace behind-the-scenes look at the journeys our things make before they wind up in our homes, lifting the curtain on the sheer magic of industrialisation and automation that keeps our world running. 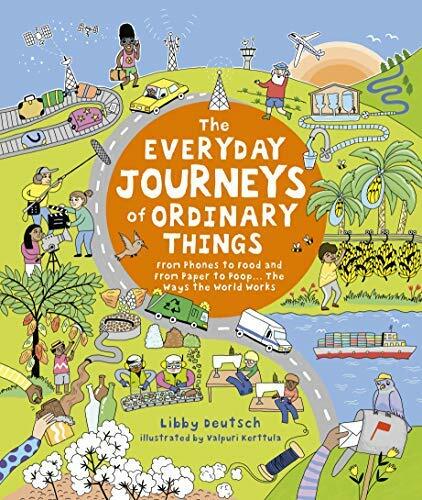 "The Everyday Journey of Ordinary Things" by Libby Deutsch and Valpuri Kertulla is out now, published by Ivy Kids (kindly supplied for review).